Photo by Myles Dannhausen Jr. 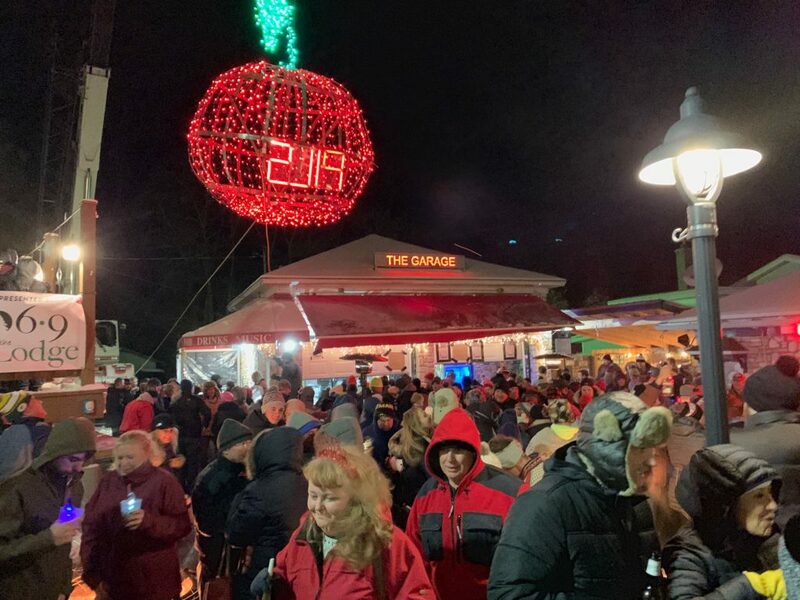 UPDATED: More than one thousand people converged on the hill in Sister Bay for the 2018 New Year’s Eve Cherry Drop, Dec. 31, 2018. If you missed it you can still get a look at the scene in the video below. The Sister Bay Advancement Association is putting the cherry on top of 2018 with its second annual New Year’s Eve Cherry Drop. With help from a $12,536 Joint Effort Marketing (JEM) grant from the Wisconsin Department of Tourism, Sister Bay is looking to promote the event to new target markets across Wisconsin. 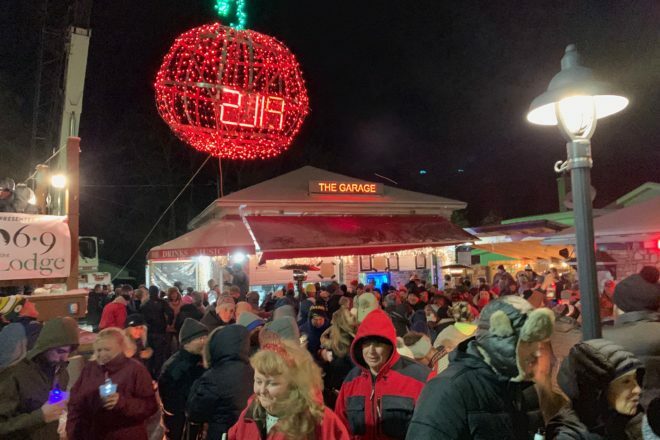 The New Year’s Eve Cherry Drop features family friendly activities and concludes with the midnight drop of a six-foot in diameter, 300-pound red cherry. For the second year, the Cherry Drop will offer activities throughout the day: shopping, ice skating, live entertainment, a fireworks show and more. The celebration is expected to attract 1,700 attendees, generating an estimated $144,000 in visitor spending in the area. Grant funds will go toward print, radio, digital and outdoor advertising to attract visitors from the Appleton, Green Bay, Madison and Milwaukee areas.